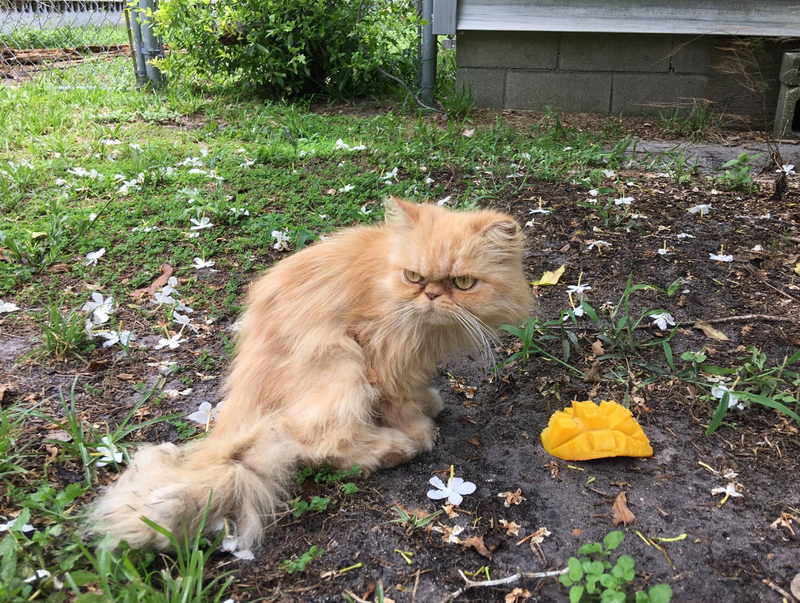 A Florida real estate inspector found this grumpy-faced cat alone outside an empty house, figured he was hungry and offered him a mango and got the stink eye before wising up and taking this super cute guy home with him. 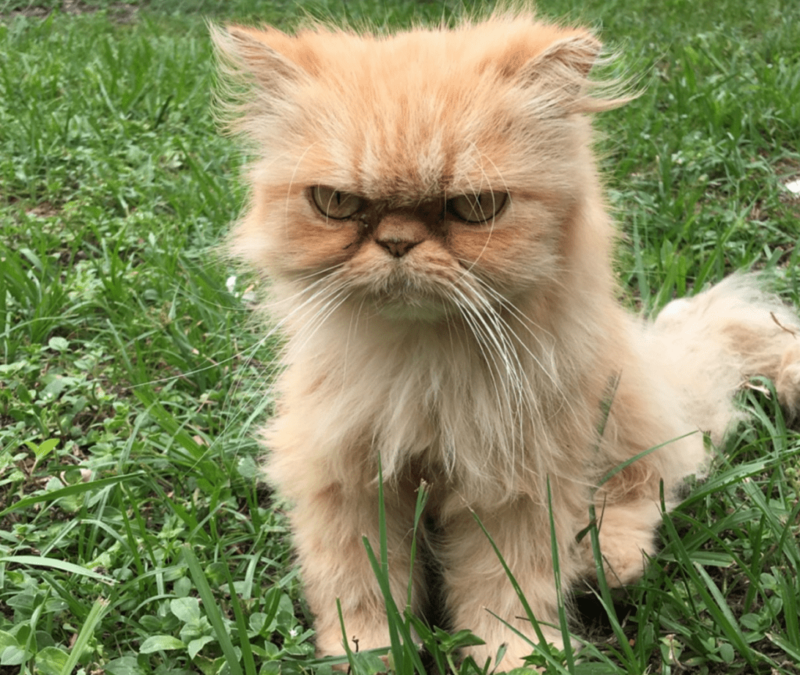 A Sarasota, Florida real estate inspector and his friend were on a job site when they found this adorably grumpy-faced cat alone outside an empty house and started taking photos. 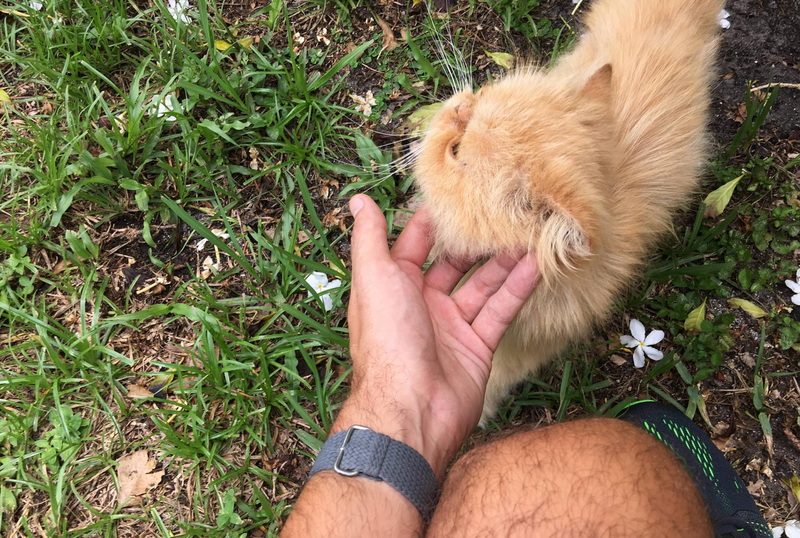 When the cat ran up to them, they figured the kitty was hungry and offered him a mango, with predictable results, according to the series of photos posted on Imgur. 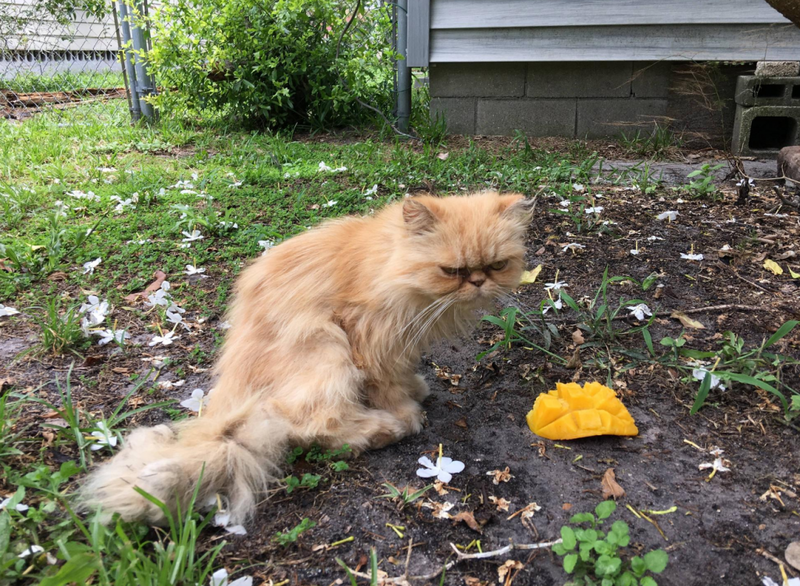 That went on for awhile, and the man took another photo of the cat and the mango. So yeah, that didn’t really work out at all. 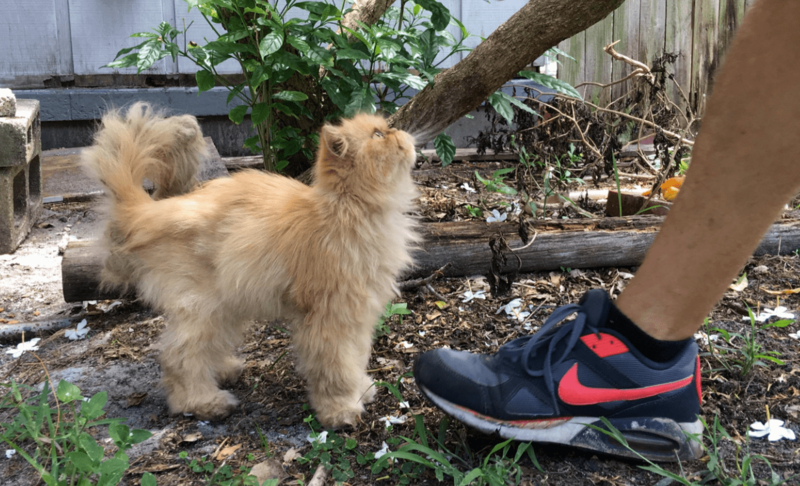 So finally, the two really connected, most likely thanks to the cat explaining a few things about basic feline etiquette. The story was carried by various online media, including Metro.co.uk. And the anonymous inspector took the cat home. 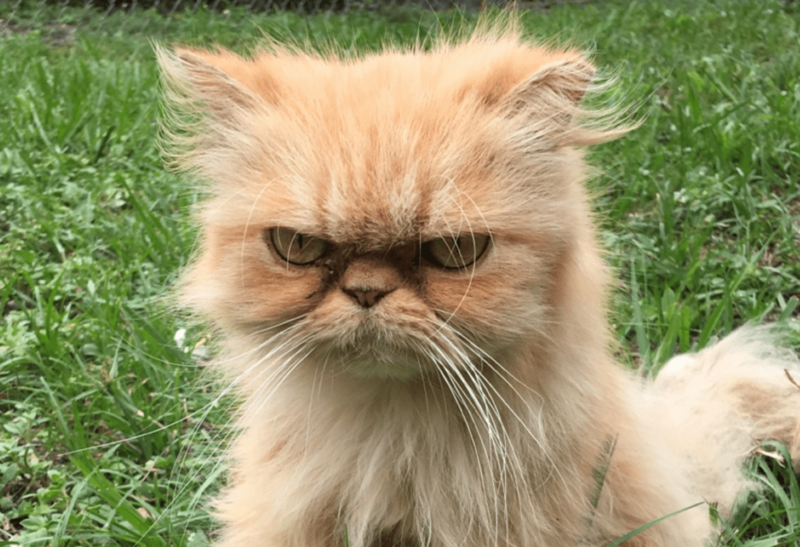 Hopefully, he will post some more photos of his super cute grumpy cat friend eating from a bowl of tuna after being gently groomed to get the stickers out of his tail.